Are you tired of writing press releases that just don’t get any traction? A Press Release is a fantastic marketing tool used by many businesses around the world as a way to gain brand exposure. But creating a news release that gets picked up is actually easier said than done. There is just too much competition these days. Every day, journalists and even regular readers get bombarded with the news – from the moment they open their emails, social media accounts, television, to the radio. With so much “noise” going on, how can you create a news release that gives enough bang to give your business some much-needed exposure? Don’t worry. We’ve got you covered. In this guide, we’ll show you everything you need to know about writing a news release that works. 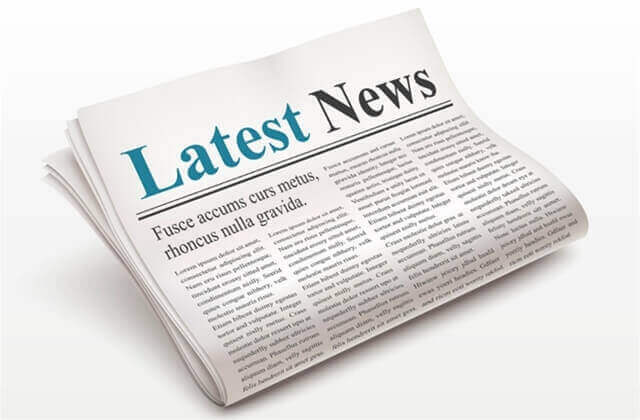 A press release, or a news release, is a piece of written content relaying a significant or newsworthy event concerning a business or organization. They are short pieces of factual information that are written in the third person format. A press release is meant to encourage journalists, media organizations, or blogger to feature the story on their publications or websites. Many businesses or organizations use press releases to promote their brand. And it works. However, it’s important to remember that a press release is not a piece of advertisement. It is not meant to sell. Instead, press releases are informative, useful, and relevant. The art of press release has been used by many generations of businesses. By all means, anyone can consider it an “old-school” marketing tool. But just because it isn’t sparkling new, doesn’t mean it does not work. After all, it’s been around a long time for a reason. Back in the day, creating and distributing news releases were somewhat of a challenge. The process involved distributing news releases through the newswire. Before, press releases were exclusive to those who could afford it. Today, thanks to the power and accessibility of the internet, anyone – small and large businesses alike – can enjoy the fantastic benefits of a successful press release distribution campaign. Whether or not you’ve tried your hand at creating and distributing a news release for your business, you’d find out that creating a campaign that actually works is easier said than done. Lucky for you, there are simple and easily executable steps to ensure a press release has all the necessary tools to succeed. Have something newsworthy to say. It’s crucial to keep in mind that a press release is not a piece of an advertisement or a brochure of products and services. It is not meant to sell or promote. If you want your new release to succeed, you need to remember one simple golden rule – your story needs to be newsworthy. Ask yourself, would people be interested in what my press release has to say? Is it something new, relevant, or different? If the answer is yes, then you have a story worth telling. And that is half the battle already. Another valuable thing to remember is that press releases are, first and foremost, meant to spark the interest of journalists and anyone in the media industry. And what better way to do that than to write your press release as if it’s already a news article? The best way to start is by trying to answer the 6 W’s at the beginning of your news copy. In the first paragraph, explain the who, what, why, when, where, and how. Let’s create an example out of a shopping mall on sale. What: Conducting their annual mid season sale, giving shoppers huge discounts and a chance to win a brand new Chevrolet and other major prizes. Where: all LM Megamalls branches nationwide. How: LM Megamalls are offering huge discounts on selected products. Customers who purchased products worth $100 or more are eligible to join the raffle promo. Make use of the Inverted Pyramid format. Using your answers to the six w’s, you can now structure your press release in the typical new format using the inverted pyramid rule. By doing this, you’ll be able to present the most pertinent information of your press release first. Why is this so important, you might ask. You need to grab attention from the beginning, or your news release won’t get read. Your readers, and especially journalists just don’t have the time to waste, so give them what they absolutely need to know first, and support it with the minor details after. In marketing and public relations, it is especially critical to know who your target audience is. Who is likelier to take an interest in your brand? Or buy your products? Every press release should be written with an audience target in mind. If your press release is meant to be sent to journalists, media, bloggers, and influencers, you should write with them in mind. However, if you want to publish your new release as is, it’s good to write it for a general audience. Use action words with clear and understandable language. As an unspoken rule, each press release should contain one quote from a prominent and respected person in your company or industry. However, don’t just add quotes for the sake of adding them. Instead, use the opportunity to add a human factor to your story. Make it relatable by adding an insightful quote from someone your audience respects or relates to. The best press releases are the ones that are straightforward. Don’t overwhelm your stories with too much information and details. If you end up writing more than 800 words, you probably have more than one story to tell, or worse; you’re filling your press release with nonsense. You need to learn to differentiate when a story starts and when it should end. You’ll only end up weaving a weaker story into your strong one. With such a strict and short format to follow, in what other ways can you make your news release more attractive and entertaining? Thankfully, these days, you can also include an image or two, or even a video to your press release. The human brain processes image 60,000 times faster than text. Say more about your story by using infographics that can relay a lot more information in bite size and a manner that is easier to understand. Every PR and marketing specialist should know how to write and distribute an effective press release. News releases are critical in ensuring that your brand or business stays in the radar of the media and especially your customers’. Not only that, they’re cost-effective and can be an additional layer to help boost your other marketing efforts. Now, you have all the tools you need to create an amazing press release and get the recognition that your brand deserves.